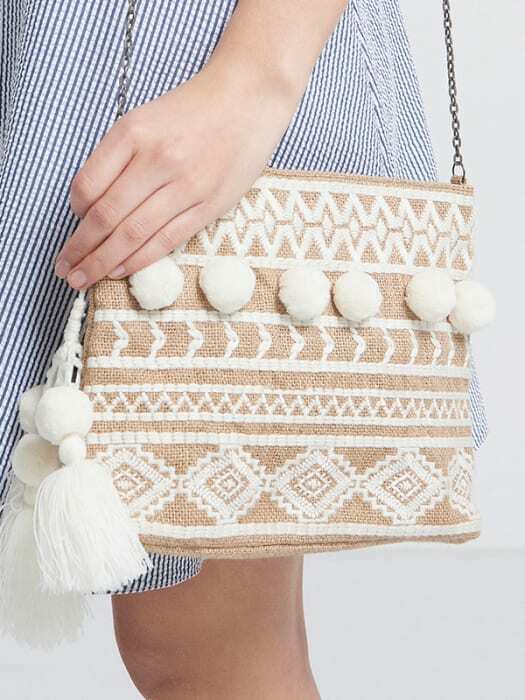 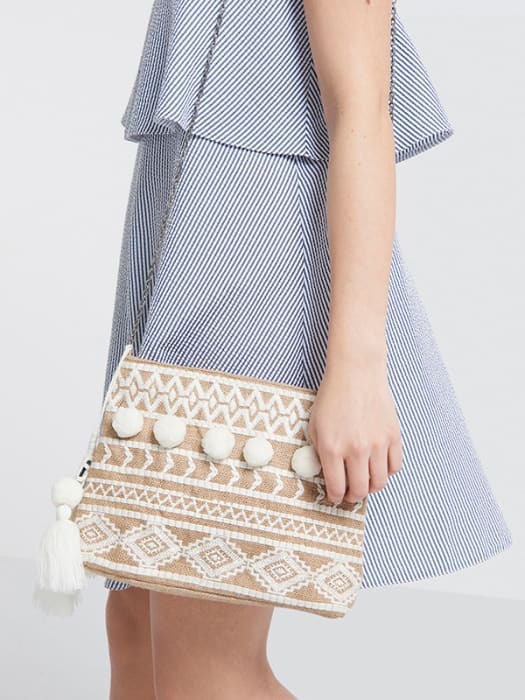 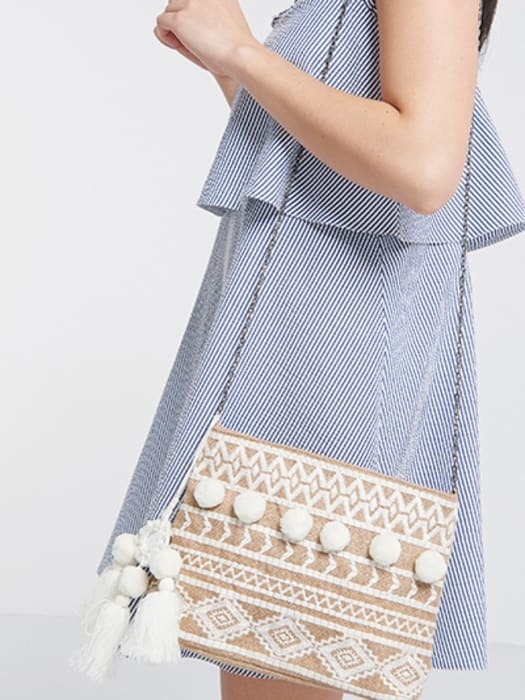 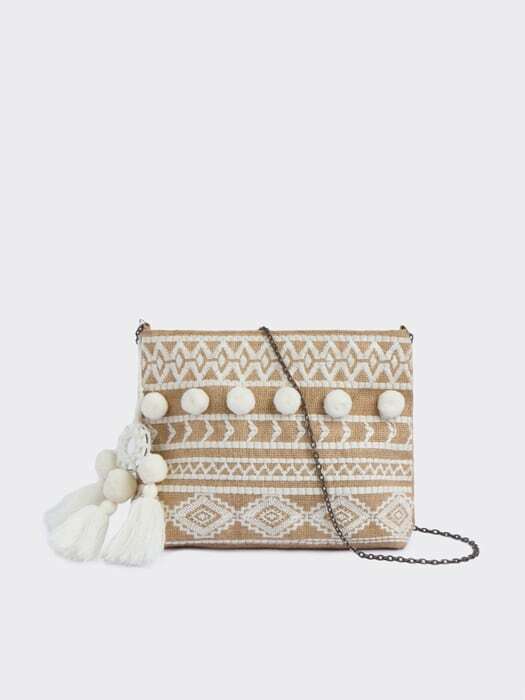 Suspended from a link-chain strap with tassel charm detail, this white crossbody bag deserves your attention. 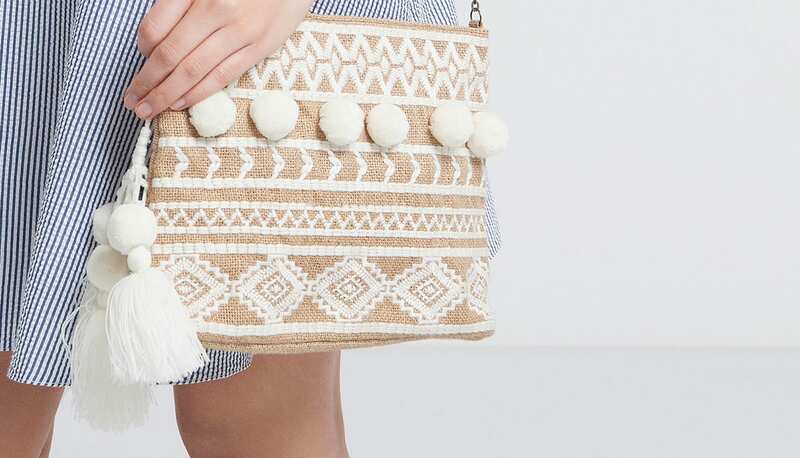 Aztec embroidery channels a festival vibe, while pom poms provide that look-at-me finish. 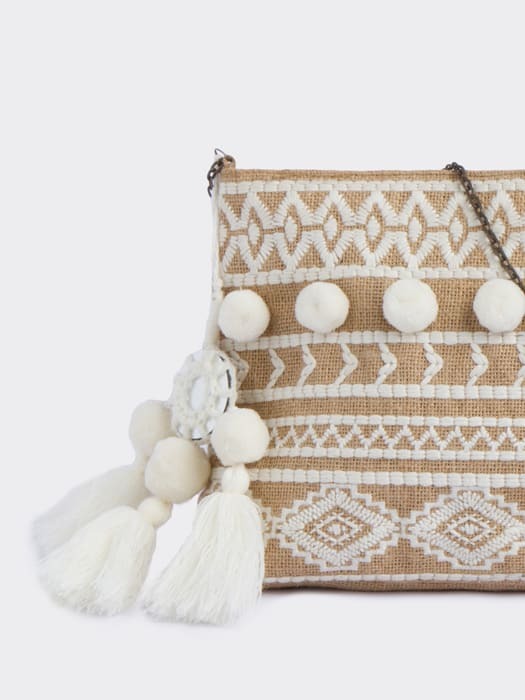 As for storage, hide your valuables away in the interior pocket and draw on the zip closure for added security.